End unit townhome featuring ENDLESS UPGRADES and uniquely situated for privacy within PSS. Meticulously maintained with an extended driveway & 2 car garage! HARDWOOD FLOORS THROUGHOUT ENTIRE UNIT! 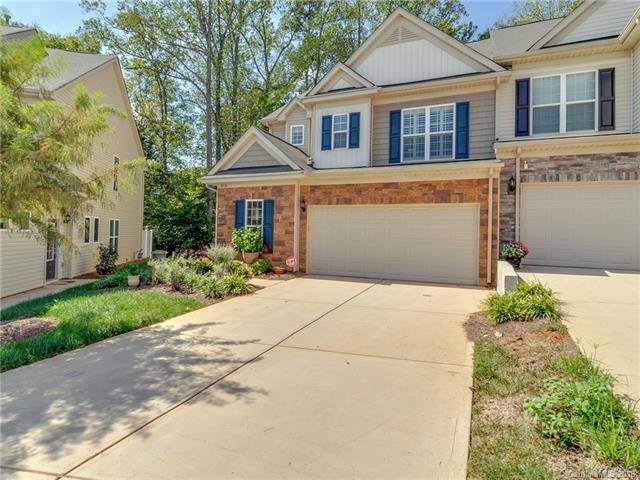 Extremely functional floorplan w/ main level office (w/ custom French doors) & sunroom. Kitchen features 42" cabinets, under cabinet lighting, upgraded Whirlpool 5-burner gas range, custom tile backsplash, & granite countertops. UPGRADED MOLDING DETAILS include crown molding throughout the house. CUSTOM PLANTATION SHUTTERS in master & guest bedroom. Master bedroom (backs up to the woods) features tray ceiling & TWO walk-in closets w/ CUSTOM CLOSET SYSTEMS. Master bath features tiled shower, dual sinks, & bronze shower enclosure. Upgraded 10x10 patio also backs up to the woods for added privacy. Community amenities include pool, clubhouse, fitness facility, dog park & access to the Greenway. 5 mins to all the upscale shopping, fine dining, & entertainment that South Park has to offer.